Delivering next-generation hedge fund indices that offer better benchmarks for assessing hedge fund performance paired with investable tracker indices comprised of liquid securities. Well-documented biases of first-generation hedge fund indices prevent them from accurately representing hedge fund performance, while the inclusion of too many constituent funds often dilutes and negates information contained in hedge fund returns. Consists of a select group of large institutional-quality hedge funds. Improves index stability due to a low attrition rate. Avoids strategy bias and single fund risk through improved diversification. Employs a rigorous and transparent index methodology to minimize survivorship and backfill biases. Identifies the factors that explain constituent hedge fund strategies. Captures changing fund exposures using our proprietary Dynamic Style Analysis model. Cross-validates selected factors through rigorous testing. Tracks the performance of the corresponding monthly hedge fund benchmark. Is comprised of liquid securities and calculated daily by independent index calculation agent. Enables intramonth performance and risk monitoring. Asset owners & consultants gain access to more representative hedge fund benchmarks with the added ability to monitor daily performance and risk. Wealth managers gain access to a suite of liquid alternative benchmarks through daily tracker indices. Asset managers can meet demand for innovative liquid alternative products by licensing MPI’s investable tracker indices. Benchmarks are constructed to more closely represent how investors typically allocate across hedge fund strategies. 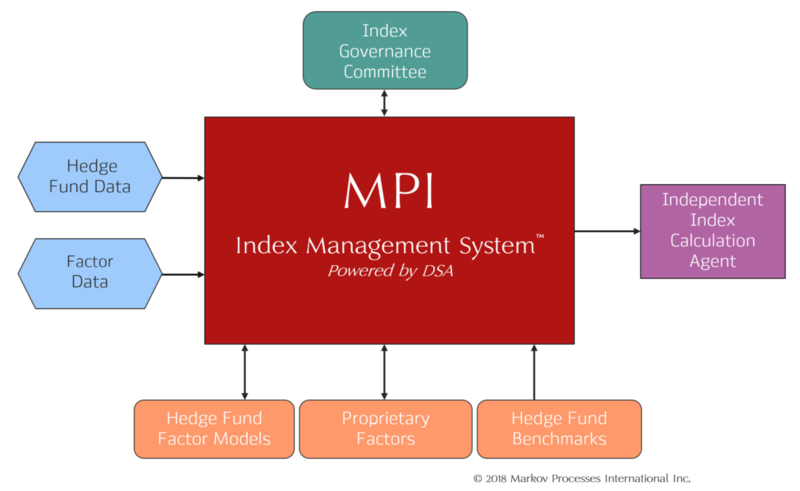 Patented analytical model identifies systematic factors driving benchmark constituent returns. 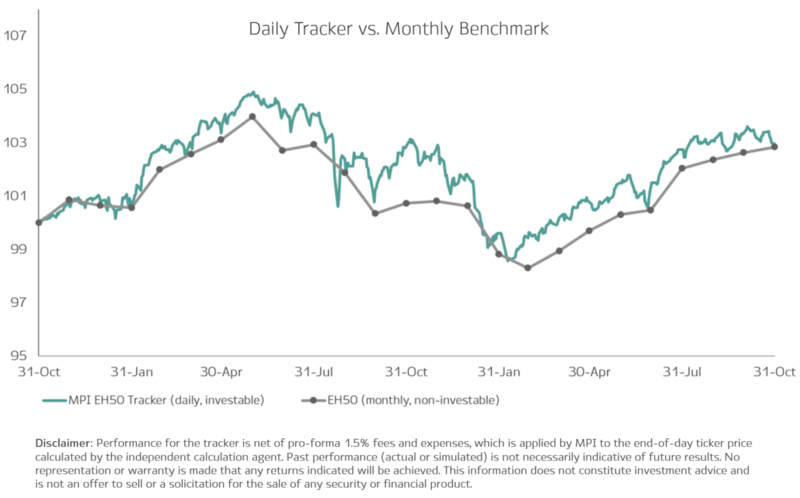 Daily tracker indices comprised of liquid securities are paired with each hedge fund benchmark. A 25-year legacy of working with large investors to help them better understand complex portfolio dynamics and the drivers of hedge fund returns. Dynamic Style Analysis (DSA) model provides exceptional ability to better capture the dynamic nature of hedge fund exposures. DSA trusted by top institutional investors, investment management organizations and regulators as part of their fund due diligence and surveillance. Factor Selection: ensures investable factors are closely aligned with selected funds. Cross Validation: tests factor selection against a broader group of similar strategies. Apply DSA model: captures the changing exposures of the hedge funds in the benchmark. Rigorous testing: improves predictive out-of-sample performance. Construct: select tracker index constituents.